Alnus glutinosa. leaves, fruit and new flower buds. uconn_ipane_alnusgluti_05a. U. Georgia. 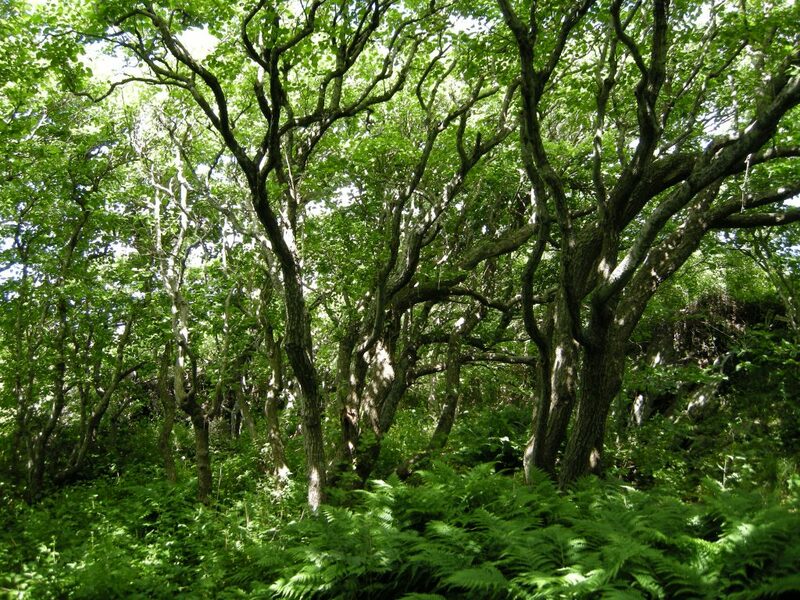 Center for Invasive Species and Ecosystem Health. eddmaps.org (Accessed 8/2017). Alnus glutinosa is a tree to 20 m tall often with several trunks, also appears to be colonial from root sprouts (Gargiullo, personal observation); roots sometimes associated with mycorrhizal fungi; twigs green with prominent, small pale lenticels, becoming pale gray, horizontal, gummy; (glutinous), young bark smooth, becoming dark, rough with age. Winter buds usually resin-coated, 0.6-1 cm long, stalked (stipitate), stalks 0.2-0.5 cm long. Leaves alternate, young leaves gummy, growing to 3-9 long and 3-8 wide, often inversely heart-shaped (obcordate), or sometimes rounded, tip blunt or notched (i.e. 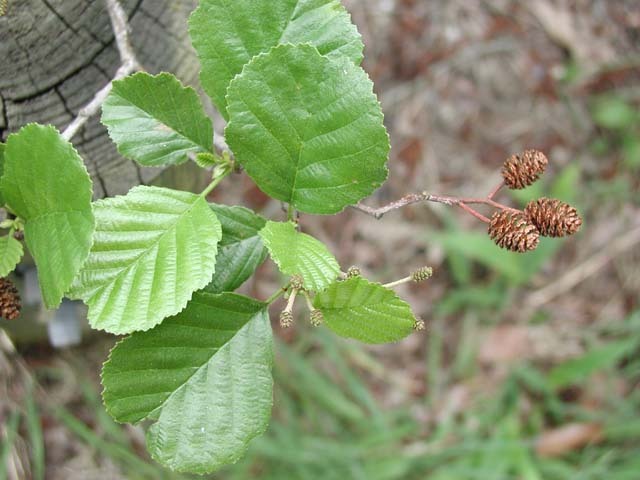 if tip notched then it is European alder), base rounded to wedge-shaped, 5-8 major veins per side, lower side often gummy sometimes slightly hairy; margin wavy and finely toothed; leaves remaining green into late Autumn unlike native alders. Alnus glutinosa. (male and female flowers and old fruit)_01_by-dpc. upload.wikimedia.org (Accessed 8/2017). Flowers in catkins, male and female inflorescences separate on the same plant (monoecious); the inflorescences developing the previous season, overwintering, and blooming early in spring before leafing out begins; male catkins each 4-13 cm long in clusters of 2-5; fruiting (female) catkins cone-like, very gummy when young becoming woody, in clusters of 2-5, with a conspicuous stalk 0.1-1 cm long; each woody bract of a cone subtends 2 tiny flowers (Flora of North America, efloras.org). Fruit: Mature female cones (Infructescences) 1.2-2.5 cm long and 1-1.5 cm wide; fruit is a small scarcely winged achene (samara) with a ridge on each side representing the reduced wings. Habitat: Occasionally escapes in wooded wetlands, stream margins. Appears quite invasive where present. Moderately salt tolerant (Sinclair et al. 1987). Seems tolerant of standing water. Notes: Now infesting most of Richmond creek flood plain, often the dominant tree in frequently flooded stream corridors. 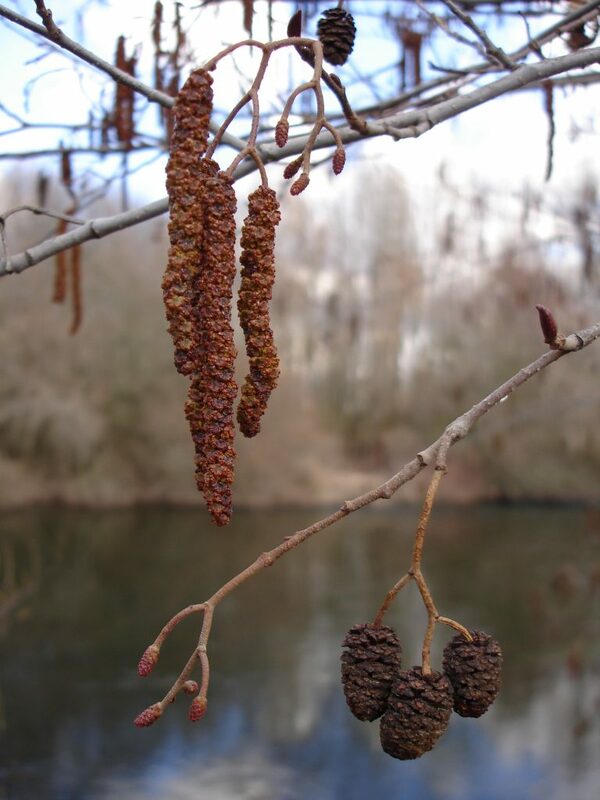 Alder roots are known to form a symbiotic relationship with an actinomycete bacterium of the genus Frankia forming nitrogen fixing root nodules (actinorhizae). These structures appear coral-like in form and allow alder to grow in very nutrient poor soils (Sinclair et al. 1987). Leaves are attacked by larvae of a sawfly, Fenusa dohrnii, the European alder leafminer. Mines create brown areas between major veins. This insect was introduced from Europe during the late 1800s.